In the last few years Polish-Russian relations have been like fairground ride, with all its ups and downs. Sometimes even adrenalin junkies got sick, and sometimes they would cheer. Polish-Russian relations have fundamentally changed over the past four years, that is, under Donald Tusk’s premiership. This is a fact but it is also a grave oversimplification. These relations are a complicated equation comprising historical issues, economic interests, geopolitical strategy and stereotype fears. At times this cocktail can become a truly explosive mixture. It is the two nations’ friendly populations who should take credit for the fact that the two states are fostering good bilateral relations, not their political masters. Current developments between Moscow and Warsaw should be viewed in the context of the preceding, difficult, period when Poland was ruled by the national-Christian Law and Justice party with all its Russo-phobia and anti-German rhetoric. The current government inherited a foreign policy in ruins. The Kaczyńskis’ rule was a particularly strained period in bilateral relations. The late President Lech Kaczyński and his twin Jaroslaw caused an Arctic chill to descend over relations with Russia: Poland demanded missile defense facilities be deployed on its territory, moved to block the EU-Russia agreement on strategic partnership and even interfered with Russia’s entry into the Organization for Economic Cooperation and Development (OECD). Moscow paid Warsaw back in kind by imposing restrictions on Polish imports. Then the Poles perceived the Nord Stream project as encroaching on the country’s energy security. The anti-Russian sentiments fuelled by the Law and Justice party struck a chord with a considerable segment of Polish society. Luckily, by the end of 2007, a coalition of the liberal Civic Platform and the Polish Peasant Party had come to power. Prime Minister Donald Tusk inherited more than just bad relations with Poland’s eastern neighbor. After two years of Party and Justice rule, relations with Germany also lay in tatters. Moreover, Tusk was forced to share power with Lech Kaczyński who still occupied the post of president. Tusk made the restoration of normal ties with two crucial neighbors a foreign policy priority and it was not long before this was transformed into discernable change. On February 8, 2008 Tusk met with the Russian president and prime minister. Polish President Lech Kaczyński was disconcerted by this nascent thaw, and embarked on his own foreign policy initiative, independently from the Polish government. His opportunity to demonstrate it came with the start of the war between Georgia and Ossetia. He organized a defiantly demonstrative meeting of the presidents of Poland, Lithuania, Estonia, Latvia and Ukraine in Tbilisi on August 12, 2008. Georgian President Mikheil Saakashvili welcomed the move, as it allowed him to talk about Eastern Europe’s solidarity with his country. Meanwhile many analysts, including those in Poland, blamed Georgia for unleashing the conflict. That did not stop Lech Kaczyński from demonstrating his love for the Georgian leader whose maverick course of action had nearly sparked a serious armed conflict with dangerously unpredictable consequences. It is still unclear exactly what Polish GROM missiles were doing in Georgia. It is hard to imagine that they could have ended up there unbeknownst to the Polish authorities. This fact is yet more evidence of the impasse that Poland’s foreign policy had reached at that time. However, modern European Poland could not afford to pursue Lech Kaczyński’s extravagant policy in long-term. This policy descended into farce on November 28, 2008. Lech Kaczyński was drawn into a Georgian act of provocation in the village of Akhalgori near the border with South Ossetia. A limo carrying the Polish president allegedly came under fire. Nobody saw the attackers but nonetheless decided that they had been Russians or Ossetians on the grounds that the Polish president had heard the distinctive sound of the Kalashnikov. A report by the Polish secret services was subsequently leaked: it blamed Tbilisi for this act of blatant provocation. With that, the Kaczyński twins’ anti-Russian policy was discredited once and for all. The governments of both Donald Tusk and Vladimir Putin fostered good relations between the two countries. This process was crowned with Putin’s participation in events in Gdansk to mark the anniversary of the beginning of World War II. Speaking at Westerplatte, a place that to this day holds great symbolic resonance for the Poles, Putin opened a completely new era in Russian-Polish relations. When Putin and Tusk stood shoulder to shoulder at the ceremony of remembrance for the victims of Stalin’s crimes in Katyn, it was a natural continuation of this process. Moscow’s renunciation of attempts to dictate terms to its neighbors gave a long-awaited impetus to the positive development of bilateral ties. On April 7, 2010 these ties seemed to be not just good but friendly and even fraternal. Tragically, the aircraft carrying President Lech Kaczyński crashed near Smolensk. Polish Russophobes lost no time in exploiting this tragedy to their own ends, despite the public outpouring of grief by ordinary people and politicians in Russia. A year has passed since then, but part of the Polish media that tow Jaroslaw Kaczyński’s party line, and Law and Justice Party politicians themselves, continue to blame the Kremlin for the crash. Idiotic theories about artificial fog and accusations that the Russians had “finished off” wounded passengers unleashed the cycle of hatred despite the report issued by the Interstate Aviation Committee (MAK). This report clearly indicates where responsibility for the crash lies, and notes that its conclusions have been seconded by Polish experts. Moreover, the Polish government’s commission investigating the crash reached much the same conclusions. The only difference is that the Polish experts point out shortcomings in the work of Russian air traffic controllers, which, in any case, did not play a key role in causing the crash. The Polish report is due to be published after the first anniversary of the tragedy. Experts believe it to be even tougher on the Poles than the MAK report. Several meaningful events took place in bilateral relations against this difficult background. Last October, Polish Deputy Prime Minister Waldemar Pawlak and his Russian counterpart Igor Sechin signed an agreement on gas supplies to Poland for the coming decades. The agreement guarantees reasonable and timely payments to Russia. Despite all the Russophobe theories, this deal is of mutual interest. Allegations that the Kremlin may simply “turn off the taps” to Poland one day are irrational: that would spell huge losses for the Russian gas industry. 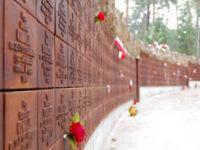 The Russian State Duma’s adoption of a resolution on the Katyn tragedy was another friendly and symbolic gesture. This much needed move prompted strong repercussions in Poland. Let’s hope it heralds the beginning of the end of all this historical score-settling. After all, the two Slavic nations need develop their ties in the present and future, and let their scholars deal with the past. In December 2010 the Russian president paid a visit to Poland, the first in nine years. President Bronislaw Komorowski received his Russian counterpart Dmitry Medvedev at the highest possible level. During his two-day stay in Poland, the talks were held in a cordial atmosphere, infused with mutual understanding. One of the material and symbolic results of this meeting was the start of the long-awaited construction of the Euro Terminal in Slawkow, the terminus of the broad gauge railroad. This project will link Asia with Europe and give Poland and Russia great prospects for developing not only communications and infrastructure but also a host of other industries. This flagship project illustrates how much the sides can accomplish when they work together. The general trends are positive, contact at the very highest political level is taking place increasingly frequently and economic ties are also on the rise. However, unpleasant incidents still occur. It should suffice to mention the fact that the Polish authorities agreed to the World Chechen Congress being held in Pultusk: it was attended by Chechen field commander Akhmed Zakayev. Anti-Russian attitudes constantly fuelled by the opposition and, in particular by Jaroslaw Kaczyński, do not help improve bilateral ties, either. These attitudes will strengthen in Poland as parliamentary elections, scheduled for this fall, approach. Luckily, only a small part of Polish society still applauds these theatrical gatherings and marches with torches. Most Poles want partnership and friendly relations with Russia and, fortunately, it is the people rather than the politicians who create the climate in foreign policy. Poland showed great interest in Russian Foreign Minister Sergei Lavrov’s initiative aimed at promoting cooperation between Russia and the EU. This is just the impetus that Europe needs. Poland needs it, too. This is a chance to open up new vistas for developing the EU and Russian economies, a chance for Europe’s steady progress and Russia’s modernization. We may not get another chance like it which is why we should do everything within our power to ensure it does not pass us by. We shouldn’t waste time on unnecessary disputes or on the painful resolution of sensitive historical issues.